The NLM/AAHSL Leadership Fellows Program prepares emerging leaders for director positions in academic health sciences libraries. The jointly sponsored program matches fellows and mentors in a one-year leadership development program. Since the program began in 2002, 49 percent of fellow graduates have assumed director positions. The candidate pool for fellows and demand for the program remain strong. Selection is competitive and recognition of a substantial record of leadership accomplishment and potential for a director position. 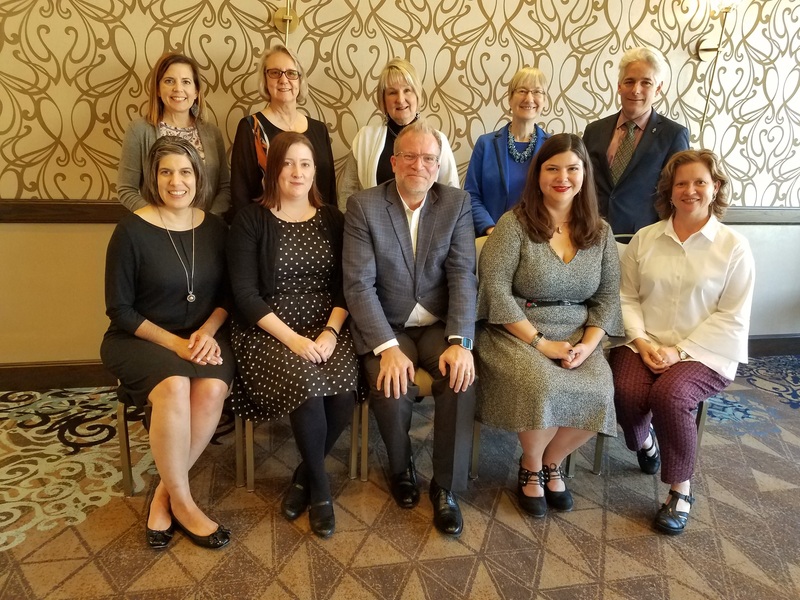 The cohort includes five fellows and their mentors, who begin their work together at the November AAHSL meeting in Boston. The program provides a combination of in-person and virtual learning experiences for fellows and offers the opportunity to work collaboratively with the cohort of participants. Fellows are paired with mentors who are academic health sciences library directors. Mentors work closely with their fellows throughout the year and host their fellow’s visit to their library. The Association of Academic Health Sciences Libraries and the National Library of Medicine are pleased to announce the members of the 2018-2019 class of the NLM/AAHSL Leadership Fellows Program. The jointly sponsored program matches fellows and mentors in a one year leadership development program. Since the program began in 2002, 54 percent of fellow graduates have assumed director positions. The NLM/AAHSL Leadership Fellows Program prepares emerging leaders for director positions in academic health sciences libraries. The program provides a combination of in-person and virtual learning experiences for fellows and offers the opportunity to work collaboratively with the cohort of participants. Fellows are paired with mentors who are academic health sciences library directors. Mentors work closely with their fellows throughout the year, and host their fellow’s visit to their library. The candidate pool for fellows and demand for the program remain strong. Selection is competitive and recognition of a substantial record of leadership accomplishment and potential for a director position. The cohort includes five fellows and their mentors, who will begin their work together at the November AAHSL Annual Meeting in Austin, TX. For more information about the program, please contact Pat Thibodeau, Program Director, AAHSL Future Leadership Committee, [email protected].